Now little artists (and big ones too) can create their own puzzles. 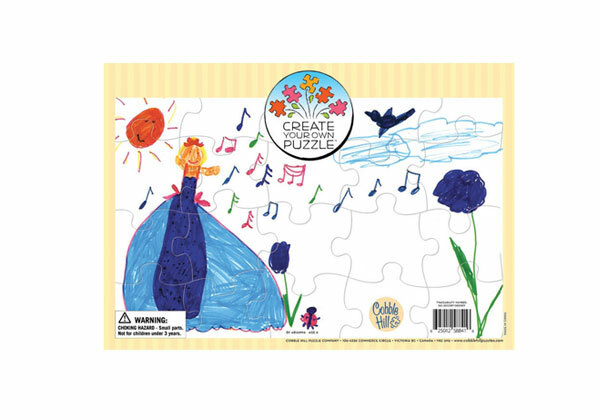 This quality blank puzzle is sturdy enough for paints, pencil crayons, markers, or crayons! 10x14 in - 20 pieces - Age: 3 and up.